I fell in love with flowers at a very young age. My grandmothers were both avid gardeners and their patches of blooms filled my head with sweet fragrances and soft textures. Grandma Lois had fluffy white clouds of alyssum heading to her front door. I didn't miss the chance the let my feet dance over them to release those honey-like smells. My best friend's mom had a yard full of stock, a flower that really deserves a better name. The fragrance still takes me back to the days of dress up dolls and tea parties. 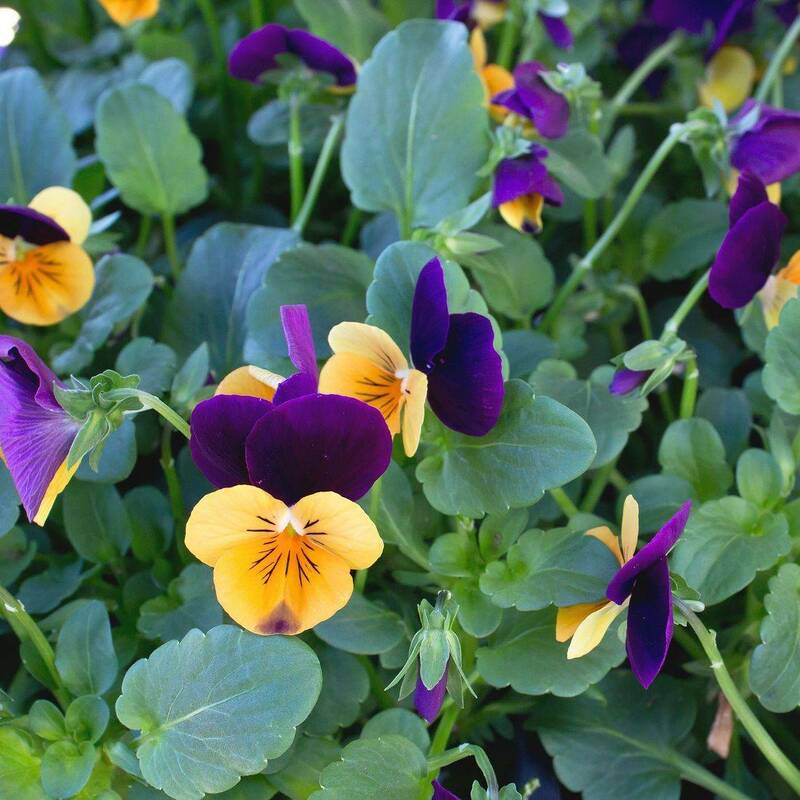 * Add pansy plants in their spring baskets to plant outside. twiggy furniture and marbles for water or gazing balls. choices are calendula, nasturtium, geranium and sunflowers. of them go to seed and collect them to replant. When my children were little, we had a path for their wagon to roll on between the garden areas. I would load them in it and take them around to smell, taste and touch the plants as if they were on a royal garden tour. Looking at my hard work (the kids and the garden!) reminded me to slow down and enjoy the fruits of my labors. It's easy to feel overwhelmed by the chore list, but what's the point of the hard work if you can't share it with those you love the most? For the past 5 years, April has been filled with tulips. Potted tulips, field tulips, greenhouse tulips, tulip bouquets, tulip bunches, pick your own tulips, tulips of every color and size. I have been overwhelmed with their particular styles and names. I memorized their growth cycles. I have planned life events around their glorious emergence from the soil. They took over my life, not unlike children or pets. I simultaneously loved them and was exhausted by them. This year the tulips bloom in my garden and I can slow down to watch them grow. I don't panic when I see violent rain clouds gather over tender shoots. I don't wonder if they will bloom according to an event planned six months in advance. 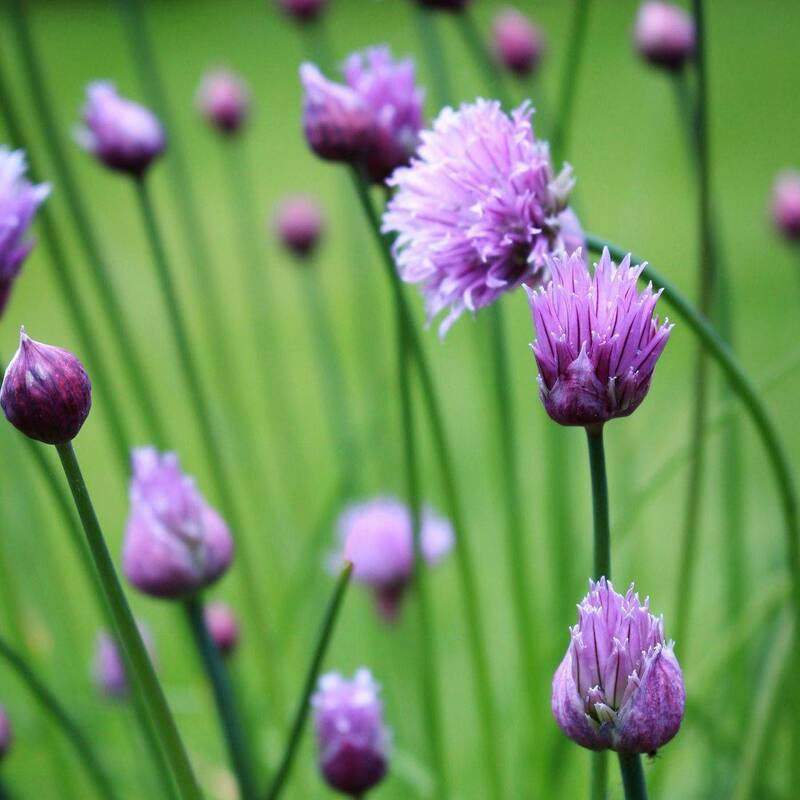 I can bring them to my table in vintage containers and watch them reach for sunlight and continue to grow even without being on the mother bulb. They start as bulbs, not particularly handsome and with no hint of what is to come from them. They get buried in sandy soil in autumn, when the nights cool the earth. They slowly root themselves in the dark. They require months of cold weather in order to bloom. As soon as the sun begins to warm up the soil again, the leaves form and push up through the crusted, often wet dirt. Like coming out of a deep sleep, they take their time growing. Day by day, the stems and leaves unfurl. Then that day comes when the buds begin to appear. It's only a matter of days before the colors present themselves. It feels like a celebration! The sun teases them and they open up their petals to the warmth. As the air cools down for evening, they hug themselves tight again. They eventually finish the show and begin to bake in the sun. They need this time in order to store energy for the next year's flower show. Some can rebloom on their own and others will need to be dug up and replanted. And the cycle begins again. I reflect on the similarity to this year of my life. I lived the past few years as if in bloom after a dark period of growth. I reached for the sun and opened up myself in creativity. There were some stormy days and unexpected results, much like a tulip can pop up in strange places with unique petals, but it was a time of celebration. Now I find that this year seems to be one of absorbing energy and learning more about myself. It's been a challenge to not force myself to be what I am not supposed to be. I'm excited to see what comes next if I can remember to let myself bloom. When I started this flowery journey, I had no idea where it would take me. I have experienced some incredible moments along the path, but the moments that touch me the deepest are designing flowers for friends and family. Sometimes I become friends with someone because of flowers, which is an added bonus. I have treasured relationships with fellow designers, event specialists, long-time customers and creative suppliers. I even met my husband because he used to buy flowers from me! I have had the best, and busiest, season lately. It's been prom time, graduation celebrations and a couple of fun weddings. What made them even sweeter was the closeness of the recipients. I was blessed to make prom corsages for girls I have known since they were 4, watching them grow up into young womanhood. I celebrated my youngest daughter's high school graduation and watched her fly away for the summer. I was blessed to arrange the flowers for a wonderful family's wedding. To be able to stay during the ceremony and watch how the flowers added just that finishing touch always makes me heart dance a bit. Floral design is my joy. It teaches me to listen more closely to people and to reflect their expectations so we are all seeing the same vision. So many hours go into projects that no one sees except me, but when the final outcome brings smiles and sighs of wonder, it's worth every minute. So, in gratitude, thank you for letting me be a part of your amazing lives ! * Take flowers that press flat well. Some good ones include pansies, geranium petals, bachelor buttons and nasturtiums. Make sure they are dry. Place them between sheets of waxed paper and place them between the pages of a heavy book. The Works of Shakespeare, perhaps? Weight them down with more books or bricks. Leave in a dry place for a couple of weeks. Gently peel them from the paper and now you can glue them onto candles, paper or notebooks. They also look great on bookmarks. * Gather roses petals, scented geranium leaves, lavender, sage, rosemary and mint leaves. Spread them out to dry on a screen. Once dry, place in a bowl. Use sharp clippers to shred them into small pieces. Now you have potpourri to use in sachets. * Gently simmer fragrant flowers and leaves in water. Let cool and strain into a jar. Once cooled and strained, you can place the scented water into a sprayer and use on linens or as a room spray. Forget fake smells! Enjoy this bountiful and lovely time of year! I remember sitting on our vintage mid-century couch in the 1970's watching, "It's the Great Pumpkin, Charlie Brown" and being pulled in by it's simple message; sincerity is more important than peer pressure. I loved Linus' belief that if he just believed enough, certainly the Great Pumpkin would visit him. I wanted to shout out to poor Linus that there was more fun to be had at the party and collecting candy, but that kid was determined to prove his point. He valued his relationship with his imaginary hero more than the ridicule that he got from his bratty sister and her friends. Although the Great Pumpkin never does show up, my heart is with him each October as I watch it like I'm 7 years old again. There is peer pressure in every career and group setting. There are shortcuts that might result in bigger revenues and more fame. I have colleagues that create incredible designs for huge events, but the price is that they never sleep. I'm okay taking on the smaller jobs. I value those one-on-one relationships with my customers who trust me to make their flower visions a reality. I love to purchase my flowers from small farms growing their bounty in American soil rather than importing them from an off-shore grower. My joy comes when everyone is touched by the process, not just the recipient. I take photos of the finished flowers and I send them to the growers so they can see how beautiful their hard work looks in an arrangement. I love to use elements from my own garden to add a personal touch, as if it's a part of me to be given away. I just try to remember to never jump into a pile of leaves with a wet sucker! I will gather my kids and grandkids around me this October to watch my favorite Halloween movie and be grateful for traditions this time of year. Happy Halloween, friends! Pumpkin spice flavors fill everything this time of year. We shake out our sweaters and dust off our boots. Leaves flutter through the air and we hunt for just the right pumpkins in the patch. This is my favorite flowery time of the year. I love the random textures and deeper shades of burgundies and oranges, bright sunflowers and beautiful dahlias. It reminds me of sunsets at the beach. This is the end of the summer season. Part of my heart wants to hang on to every last sunbeam but I also know that each season needs to happen. Winter brings rest after the harvest. The chill in the air signals trees and plants to hunker down and get some rest until next Spring. I think in many ways I would love to do the same. The shorter days and colder nights make me want to pull the covers over my head and not come out again until March. The one thing that gets me through the gray Pacific Northwest winters is flowers. Yes, it's a challenge to find locally grown flowers in the wintertime, but with greenhouse grown flowers from California, we can enjoy flowers year round. If you want to really immerse yourself in the experience, call me and we'll design something spectacular together! How do you welcome a new year? Do you set new goals? Review old ones that still need to be met? Do you envision yourself in a new job, a new location or a new situation? I love the potential that a new year brings. Clean slates to write wishes upon. There are seed catalogs to pour daydreams into. Fitness routines that we just know will be the key to our perfect body. New recipes to try to keep us healthy. The birth of new possibilities color our lives as 365 new days emerge. There is a push right now in society to make every moment rich, to celebrate everyday. Reality check; some days are just ordinary days. They ask us to swim up from our winter blankets and participate in ordinary things. So how can we see the extra in the ordinary? How about the stark bare branches against a fiery sunset? Breathe in the fresh smell of rain on the damp earth? Notice the bright green moss growing on the rocks? Sit in the quiet of a snowfall? Bring flowers inside and let their life brighten yours? Yes! All of this and more! As winter plods along in it's seemingly endless parade of gray and damp, bring some of the outdoors closer to your heart and find the extra in the ordinary. I have always found creativity to be a double-edged sword. It's the only real way to convey my personality and it is also the most frightening way of exposing myself. Yes, I think I'd rather dance in feathers than to put myself in a position of being judged for my talents. Trust me, feather dancing is not one of those talents! (Apologies to my dance teachers). I was gifted this expression of using flowers for art in 2007, when our local flower shop was up for sale. I didn't have any business buying it, but I jumped in anyway. Mistakes, oh so many. Lessons, some painful but always remembered. Smiles, more than I can count. I waited for the phone calls to come in about me being a fraud, but they didn't come. Instead, I was recognized for being different in the predictable flower world. I had found a way to bring others the joy that I enjoyed with everything I did. Fast forward into working for other flower shops. More lessons, more mistakes and many tears. I wasn't there to be creative, I was there to replicate the style of someone else. I learned to "cut, copy and paste" arrangements from the wire services (you know, FTD, 100FLOWERS and the like). I hated every soul-sucking minute of copying someone else's expressions of flowers. I learned to watch what others were doing so that I could duplicate their work. All along the way. I could feel my creative heart getting smaller. Eventually, I ended up in a wonderful place that helped me celebrate my love for blooming things. I had room to grow and use flowers that were new to me. I watched the process from planting to harvesting to designing. It was a life lesson in growing, both mentally and creatively. I tapped into my creative processes and applied them into every aspect of my job. Alas, all gardens stop growing after awhile and it was time for me to move on. I missed the individuality of creating my own floral world, so I opened up Garden Goddess Flower Creations. In this garden, I can grow how I need to. I can find rest when exhausted and bloom when the sun shines. When I started out in floral design, I was told that my look was too wild and not organized enough. I learned to reign it in to fit the styles of the day. Just the other day, when working with another florist, she told me that my look was too structured and it needed to be loosened up. In that moment, I realized that creativity, whether in song or paint or flowers, is subject to interpretation. So I will continue to find my way along the garden path and keep growing. I hope to find others who can celebrate the beauty of the earth with me. And I will continue to find my own voice among the many others. 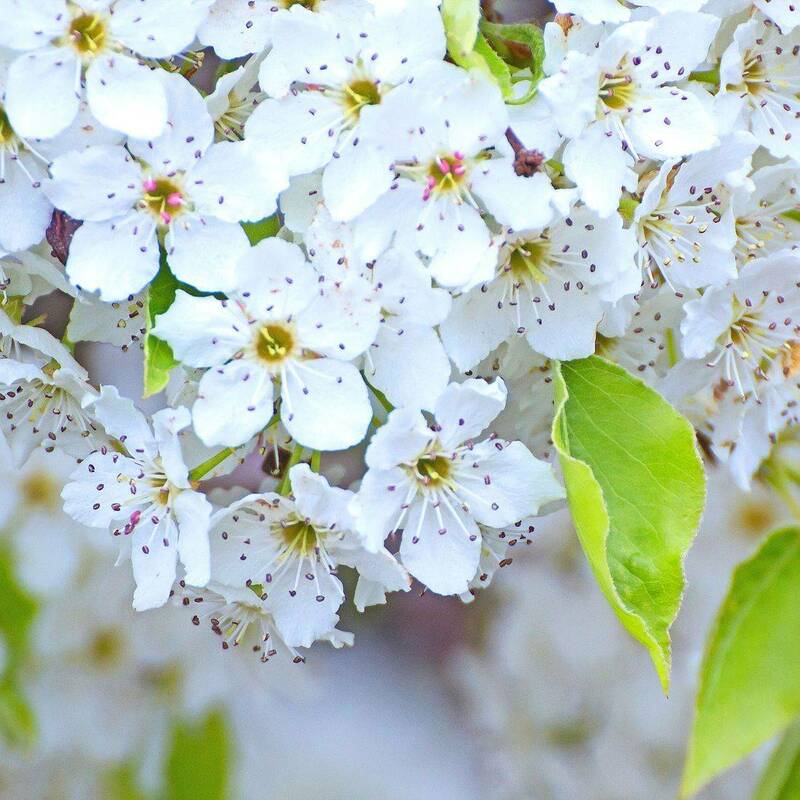 Have a blooming day! I live in the beautiful Pacific Northwest. Yes, it's green, it's pretty and we have seasons. I love all of those things about living here. But let me go on record to say that I hate winter. Sure, we have the occasional serenity of snow but we mostly have rain. Lots of rain. So much rain that everything I own is green. I bought a green car just to avoid having to watch it moss over. I am married to a Winter Lover. God bless his polar bear heart; he adores the brisk air and chilly nights. I can be comforted only with a warm fire and a pile of quilts while sipping something at a low simmer. I hate cold feet on a tile floor and the endless gray skies. The only thing that saves my sanity are my flowers. Without sweet aroma of cut flowers on my table, I would hibernate the winter days away until the magical days of spring arrive. And arrive they have - hallelujah! Saturday of Easter weekend dawned warm and sunny. I changed my holiday prep plans and unearthed my garden gloves. I spent a glorious few hours cleaning up my deck area of last summer's leaves. I carefully clipped back geranium leaves to discover that my favorite plant is alive! I cut back the mint and lavender, filling my senses with life-giving fragrances. They are all still hesitant to come out to play, which I fully understand as on the Monday after Easter brought snow . But I can see that spring is on the way as my daffodils stand strong against the last of Winter's blast. So I will celebrate Spring's new life and another winter behind me. Plant on, survivors! Time to get dirty! 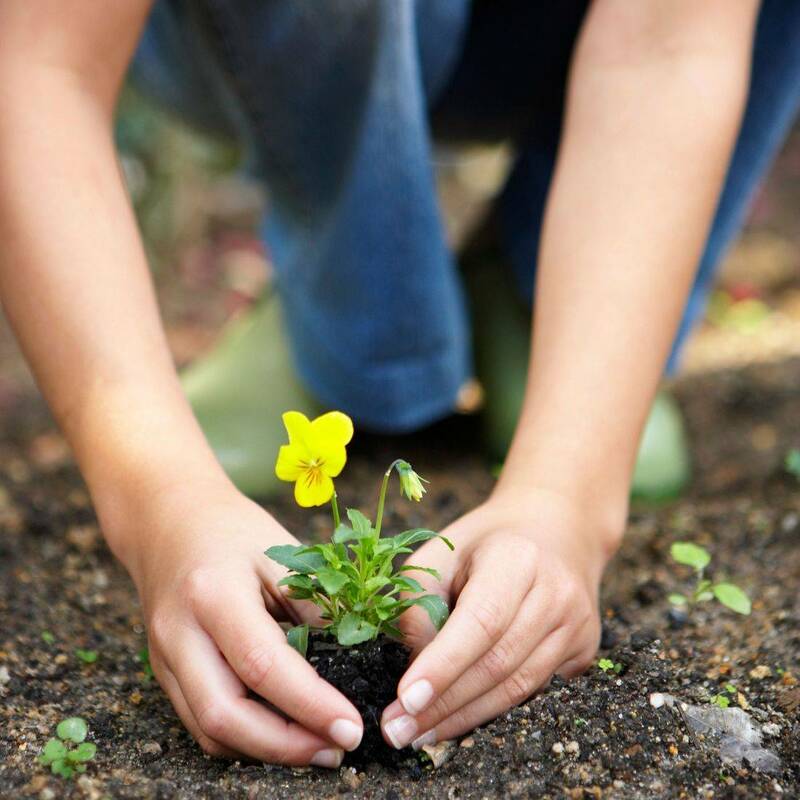 Growing edible flowers with children introduces them to the amazing world of flowers! Not only do people eat the flowers, but bees, butterflies and birds do too!